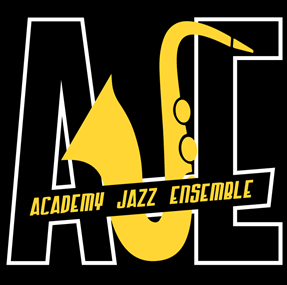 The AJE is a professional big band whose mission is to explore and preserve the music of America's original art form. 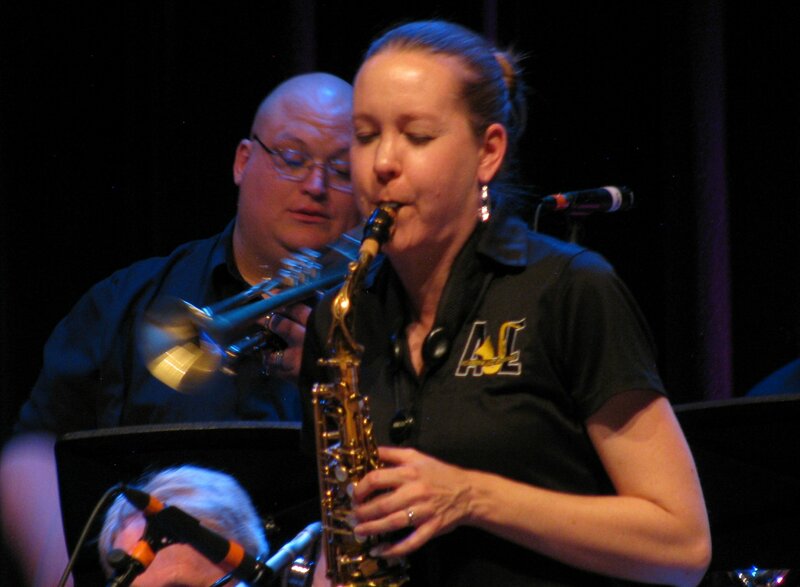 The membership includes the finest jazz musicians in the area, many of whom are public school teachers. Our repertoire spans from rare and historical big band works to some of the newest original music for contemporary jazz bands. Our music book represents the passion and poise this ensemble brings to the stage. This passion makes the Academy Jazz Ensemble a unique voice in the Jazz community. Academy Jazz Ensemble's main goal is education. That's why we frequently partner with schools to put on combined concerts - contact us if you're interested. We find that the best way to learn is by doing. We perform in schools, libraries, parks, and at private events - furthering this uniquely American art form with every concert. Members of Academy Jazz Ensemble love talking about our music. Contact us or come chat with us after a concert! 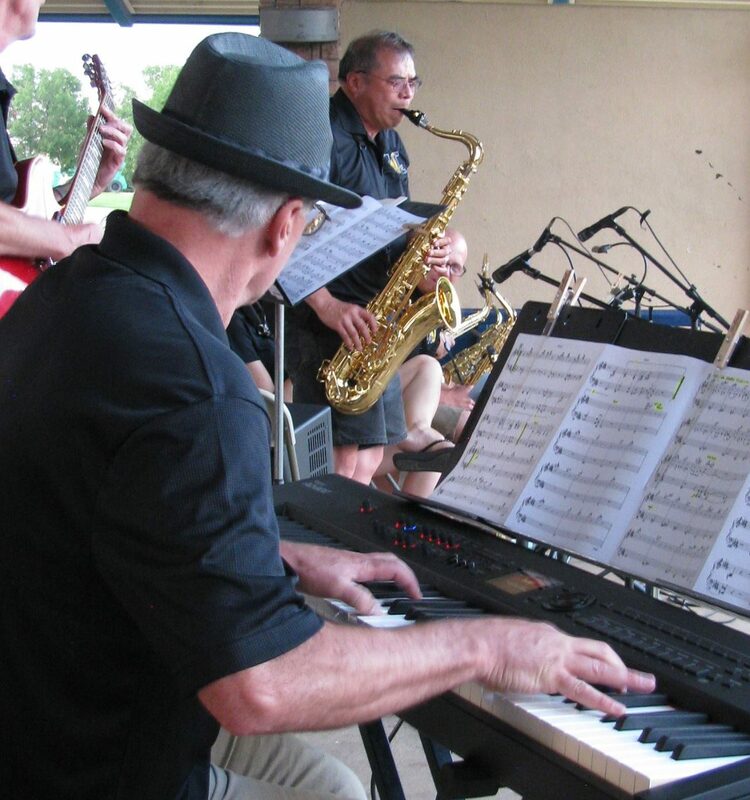 Academy Jazz Ensemble is comprised largely of professional educators from the greater Pikes Peak region. We love sharing our music and can't wait to see you at our next show. We are passionate about our art and proud of our music. 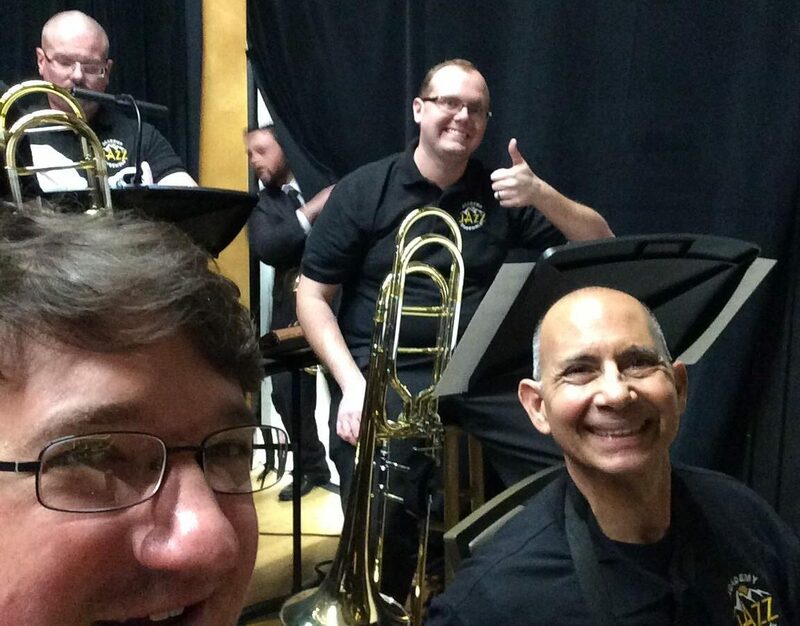 Membership in Academy Jazz Ensemble is a labor of love. AJE is a non-profit tax-exempt organization under section 501(c)(3) of the IRS code. All donations to AJE are tax exempt to the extent allowed by law.